When it comes to recovering debt for your business, there are 2 important facts regarding those debts you should be aware of when placing them with credit and collection service companies in Indiana. These facts are guidelines that must follow when attempting to recover debts on your behalf. Generally speaking, consumers are only responsible for debts up to 7 years from the time the debt was created with the original creditor. This can however vary based on certain factors from state to state. So in other words, debts 7 years or older are generally no longer allowed to be pursued for collection. Consumers have the right to account validation for any debt placed into collections. What this means is the consumer can request to see proof of the debt, for which the credit and collection service companies must provide documents to prove they legally have the debt as well as showing what the debt is for and date of charge or services rendered. 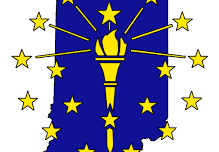 These facts are important to consider regarding debts you place with credit and collection service companies in Indiana and the legal rights that protect the consumer in attempts to collect those debts. « What are your rights when being contacted by a debt collector?